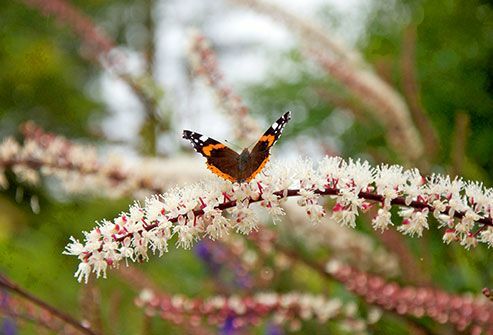 Black Cohosh: Help for Hot Flashes? Black cohosh is one of the most well studied supplements for menopause. It's made from the root of the North American black cohosh plant. Several studies have found it helps -- especially with hot flashes -- when compared to placebo (a fake treatment). But other studies haven't found a benefit. One warning: Don't use it if you have liver problems. 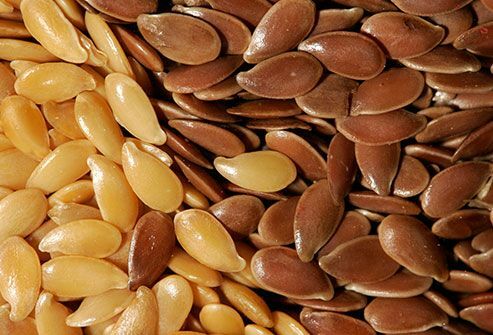 Flaxseed and flaxseed oil may help some women with mild menopause symptoms. It's a good source of lignans, which tend to balance female hormones. Not all studies have shown these benefits in relieving hot flashes, though. Bone loss can become a serious problem once hormone levels drop after menopause. It's crucial to get enough calcium. 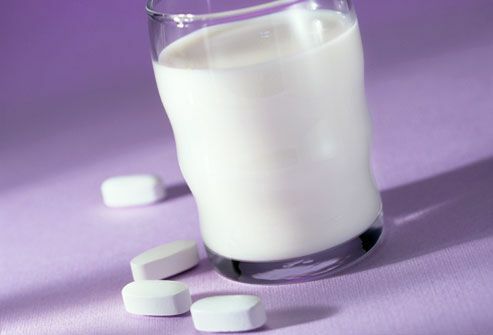 Women under 51 need 1,000 milligrams of calcium a day. Women 51 and older need 1,200 milligrams a day. Tip: It's best to get your calcium from food. If you need supplements to fill the gap, take smaller doses with food during the day (no more than 500 mg at a time). You'll absorb it better. Many women use red clover hoping that its natural plant estrogens will ease their menopause symptoms. So far, though, the research results have been mixed. 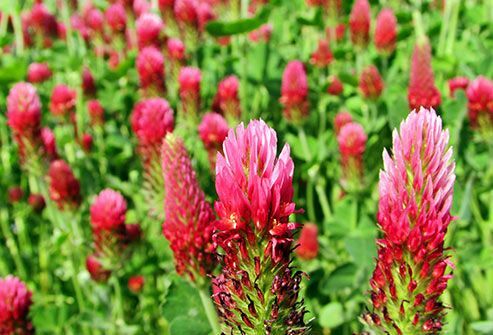 Despite early concern, recent studies have not shown an increase in uterine cancer when women took red clover for 3 months. But it's always best to talk to your doctor if you're concerned. Vitamin D is just as important as calcium for bone health. Without vitamin D, your body can't absorb calcium. Most adults need 600 IU daily. Those 71 and older need 800 IU per day. Vitamin D is in many foods and supplements, but there's another source: the sun. Tip: You may have heard that your body produces vitamin D when exposed to sun. That's true, but even small amounts of sun can lead to skin damage. It's best to focus on food and use supplements if you don't get enough in your diet. 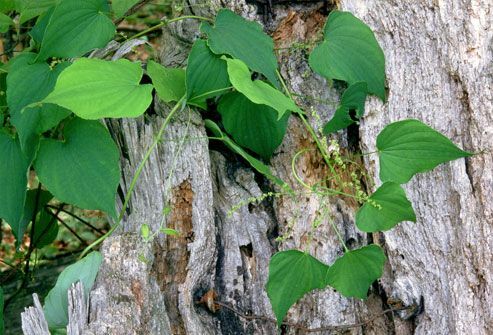 Pills and creams made from certain species of wild yam are popular alternatives to hormone therapy for menopause. Some of the natural compounds in these yams appear similar to estrogen and progesterone, but it's possible they are not active in people. So far, clinical studies have not found that they ease menopause symptoms. A few studies have found evidence that the different types of ginseng might help improve quality of life during menopause. 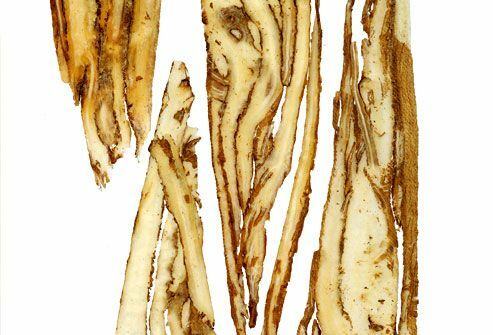 Ginseng has been shown to boost mood and improve sleep. But so far, studies haven't found that either American or Korean ginseng helps with physical symptoms of menopause such as hot flashes. St. John's wort is a well-known treatment for mild depression. But it might also have a special benefit for women during menopause. 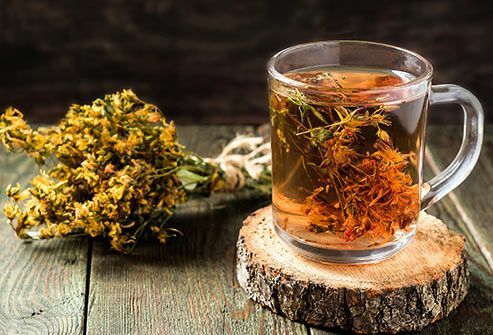 There's some evidence -- particularly when combined with black cohosh -- that St. John's wort can improve mood and smooth the mood swings tied to menopause. Natural levels of DHEA hormone drop in our bodies after age 30. Some small studies have found that DHEA supplements ease menopause symptoms such as low libido and hot flashes. The evidence is mixed. Other studies have found no benefit. There is some concern that long-term use or high doses of DHEA may raise the risk of breast cancer. Dong quai has been used in Chinese medicine as treatment for women's health for thousands of years. But research in recent times hasn't found evidence to back this up. One study of dong quai to determine its effects on hot flashes during menopause found no benefits. Because dong quai may have some risks, including cancer when taken long-term, check with a doctor before using it. Menopausal women in the U.S. are over eight times more likely to have hot flashes than women in Asian countries. Could the soy in the Asian diet explain the difference? Possibly. 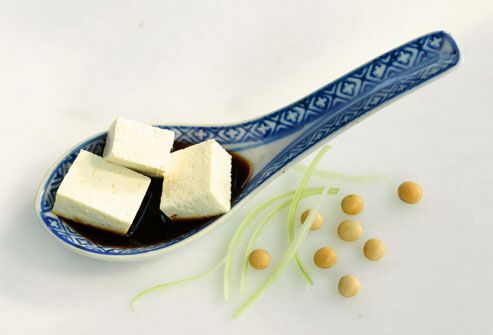 Studies have found soy to be modestly effective in relieving hot flashes. Soy foods (such as soy nuts and tofu) and phytoestrogen supplements -- estrogen-like compounds found in some plants -- are sometimes used to relieve mild hot flashes. The research isn't conclusive, though. All supplements have potential side effects. Supplements and herbs may interact with some medicines you take. They could boost or negate a medicine's effect. Or the interaction could cause other problems. Some herbs can cause allergic reactions. (9) © BSIP / Phototake -- All rights reserved. Gale Encyclopedia of Alternative Medicine, Third Edition, 2009. The North American Menopause Society. Menopause.org: "Do Mother Nature's Treatments Help Hot Flashes? ", "NAMS 2011 Isoflavones Report." Memorial Sloan-Kettering Cancer Center web site, "About Herbs: Flaxseed." Medical News Today: "Flaxseed Is King but Won't Help Menopausal Symptoms, Breast Cancer." Office of Dietary Supplements web site, "Calcium," "Vitamin D."
Institute of Medicine of the National Academies: "DRIs for Calcium and Vitamin D."
American Dietetic Association. EatRight.org: "Calcium." National Academies.org: "IOM Report Sets New Dietary Intake Levels for Calcium and Vitamin D to Maintain Health and Avoid Risks Associated with Excess." Memorial Sloan-Kettering Cancer Center: "Cancer Information: About Herbs, Botanicals & Other Products." Komesaroff, P.A. Climacteric, June 2001; vol 4 (2): pp 144-50. 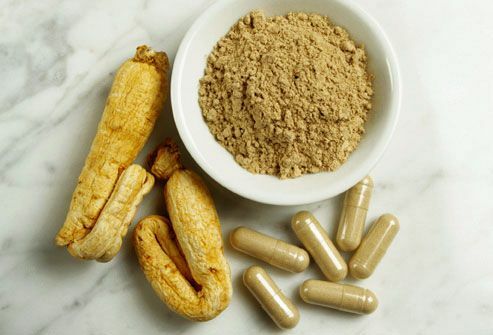 Natural Medicines Comprehensive Database web site: "Menopause," "Black Cohosh," "Wild Yam," "Ginseng, Panax," "Soy," "Red Clover," "DHEA." 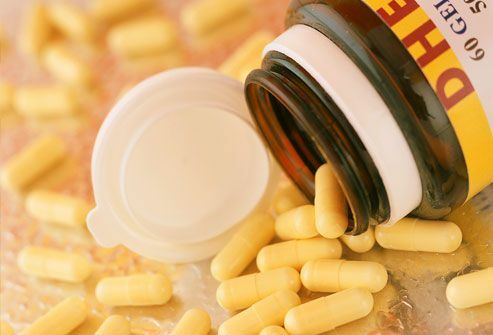 Natural Standard Patient Monograph, "St. John’s Wort," "Natural Medicines in the Clinical Management of Menopausal Symptoms," "Wild Yam," "Soy," "Flaxseed and Flaxseed Oil," "Menopause," "Vitamin D."
Holick, M. New England Journal of Medicine, 2007; vol 357: pp 266-281. Casey, C. American Family Physician, 2010; vol 81: pp 745-748.